Rashad Becker is best known as the skilled mastering guru at Berlin’s famous Dubplates & Mastering, but he’s also making a name for himself as a musician in his own right, first coming to attention with 2013’s Traditional Music of Notional Species vol. I. Three years later, and Becker returns with volume two - a record even more remarkable than its older sibling. Like that album, it’s not easy to discern how he’s ended up creating these sounds: I want to say it’s on a modular synth, but that’s just pure guesswork, really, given his clear knowledge of sound manipulation and the sort of equipment he probably has access to. But, where vol. I was somewhat obtuse in its experimental qualities, on vol. 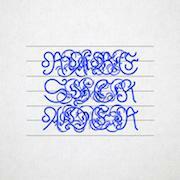 II Rashad Becker manages to be gentler, more esoteric and more rhythmic all at once, revealing tastes for ambient melodicism and warped dance music in equal measure. It’s no surprise he’s found a home as a recording artist on PAN. Like its predecessor, Traditional Music of Notional Species vol. II is separated into two sections, ‘Themes’ and ‘Chants/Dances’, which are then broken down into numbered tracks that, combined, form a sort of continuity. The four ‘Themes’ pieces (‘V’ to ‘VIII’) are the most instantly accessible, although not in any conventional sense: ‘Themes V’ starts with a surge of cymbal or singing bowl-like ripples that Becker carefully manipulates to draw them into formless drones; gradually, as the piece ebbs and flows between quietude and brooding intensity, a mood of disquiet settles over proceedings, the strange sound sometimes vaguely reminiscent of a Ghost Box hauntological experiment, at others like hearing the pulsations of a dancefloor session through thick layers of concrete. ‘Themes VI’ pursues this uneasy direction with seesawing synth lines that scrape backwards and forwards across the sonic spectrum, stretching towards aggressive levels of saturation before receding back into portentous stasis, albeit only briefly. Becker cunningly knows where to linger on notes to create tension and when to release, when to use repetition to his advantage and when to break into exploratory melodic journeys. Compared to the first iteration, Traditional Music of Notional Species vol. II is captivating from start to finish. Compared to the drones and surges of the ‘Themes’ works, the four ‘Chants and Dances’ pieces are extremely minimal, with Becker relying more frequently on silence and quietness to build the mood. The sonic eructations are more rhythmic than on the other half of the album, with pointillist percussive blurts and insistent, loping loops, especially on ‘Chants/Dances VI’, which features an hypnotic bass throb and sprightly chiming single notes. Again, the echoes of library music and the BBC Radiophonic Workshop are present in abstracted form, which only heightens the ghostly aura that surrounds these works. This is most strongly the case on ‘Chants/Dances VII’, which progresses slowly over a low, Radigue-esque drone, with a sizzling cloud of ominous synth whistles, pops, crackles and buzzes drifting in and out of focus. On Traditional Music of Notional Species vol. II, Rashad Becker expertly combines the abstract and the atmospheric, much as Bass Clef’s Ralph Cumbers’ does under his Some Truths moniker. Becker’s deft manipulation of the oddball sounds he creates allows him to elevate what could have been hazy sketches into the realm of high art, but a keen (and occasionally sinister) melodicism rests squarely at the music’s heart. It’s a remarkable progression from a promising debut, and proof that powerful results can be conjured out of seemingly sparse means.